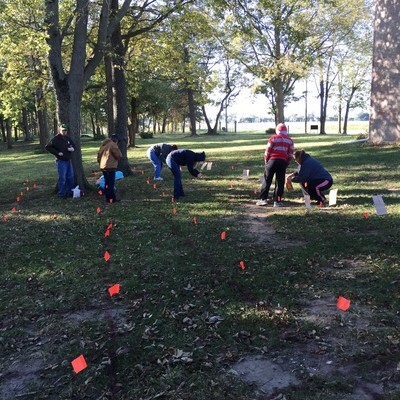 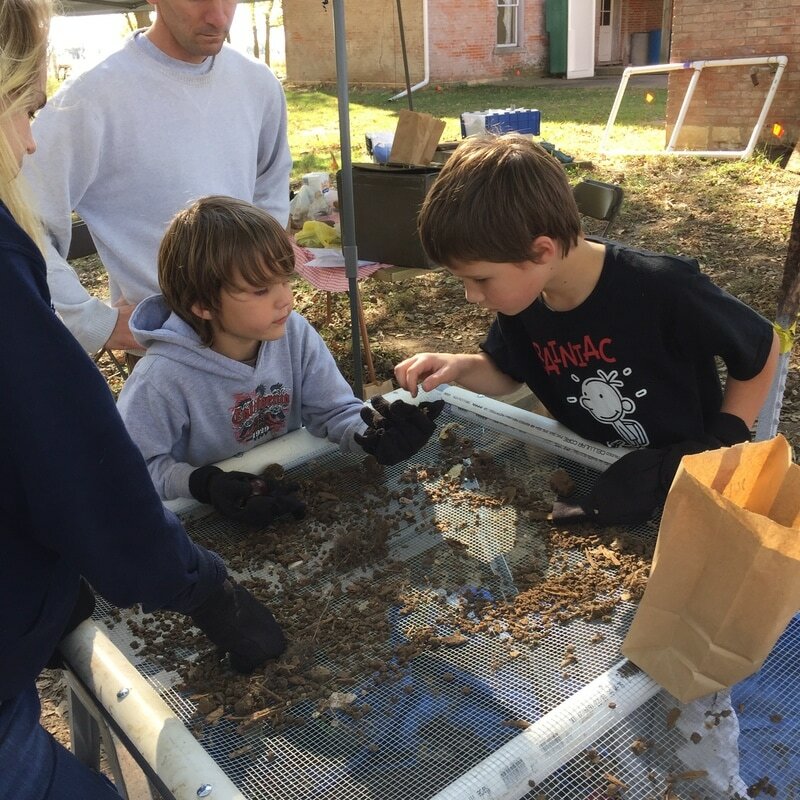 ​October 2nd and 23rd, 2016 a community archaeology project was started aimed at recording the Marbold Farmstead's outbuildings, activity areas, roadways, dump sites, burn piles and walkways. Historic archaeologist Annie Rieken of Monroe County, outside of Waterloo, directed the dig. 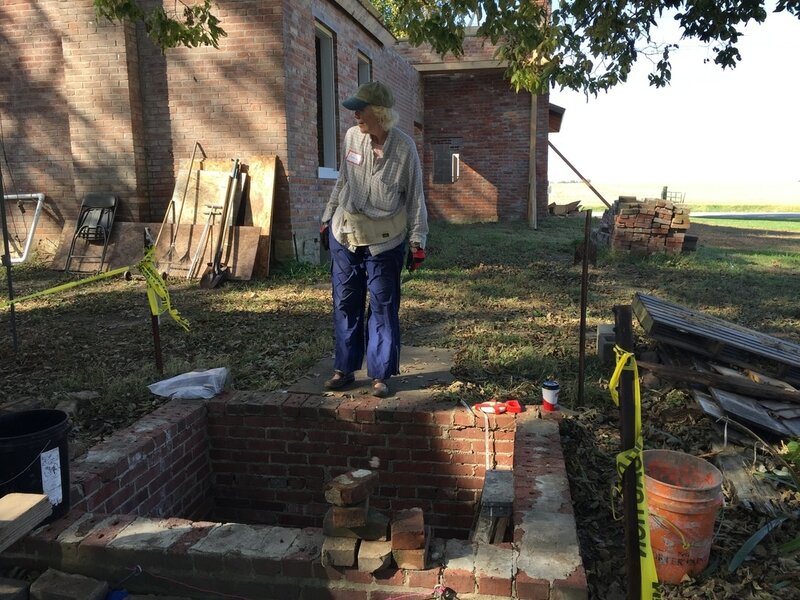 Rieken is an advocate of making digs worthwhile for educational purposes and is the curator of the Henke-Buck Farm in southern Illinois. 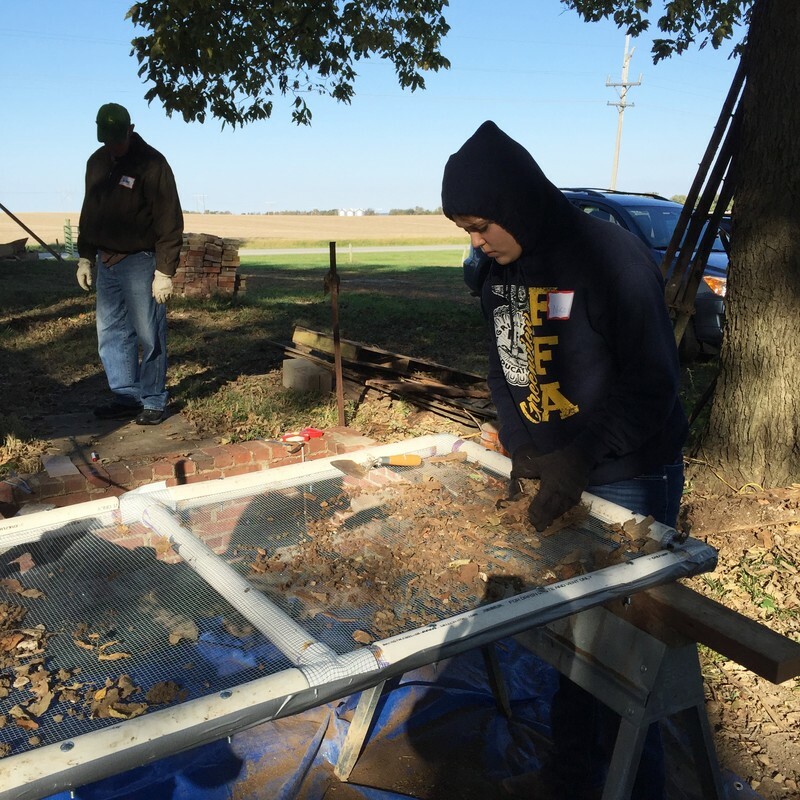 Several Greenview students and adults participated. 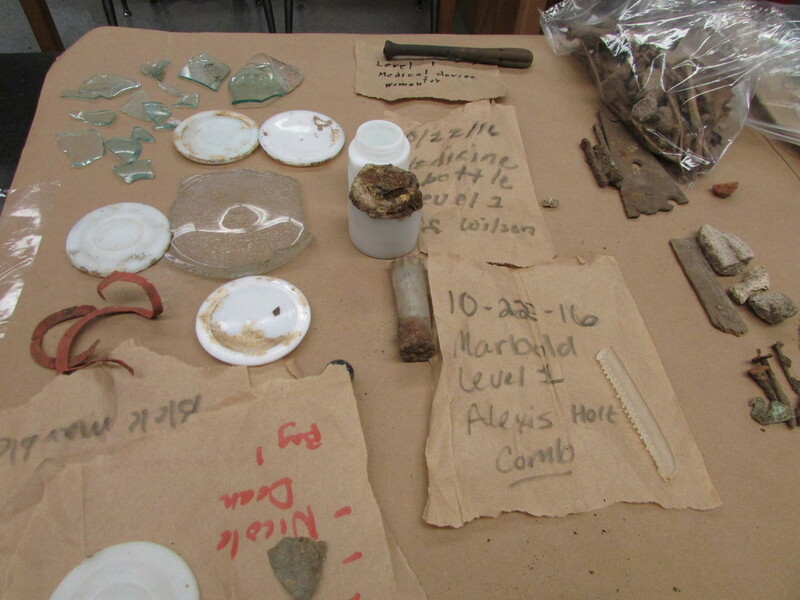 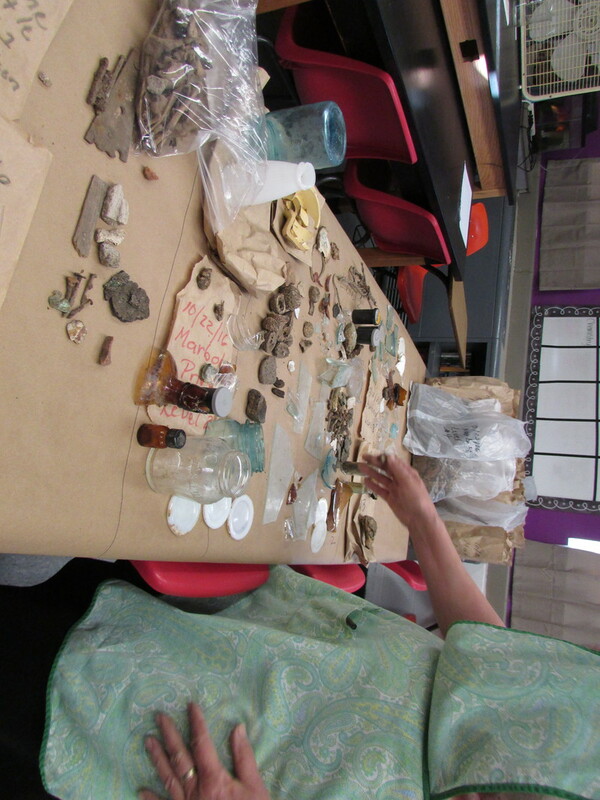 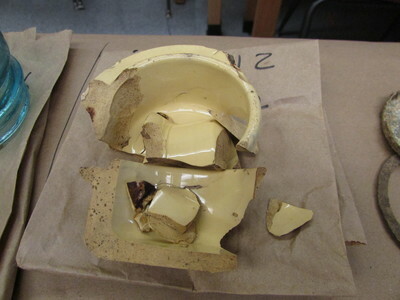 Items found included part of a hair comb, buttons, glass, 20-gauge shotgun shell, metal, piece of asphalt roofing, chicken bones, mustard jar, glass canning jar lid, rubber to a canning jar lid, glassware, construction glass, and pieces of plates and drainage tile. 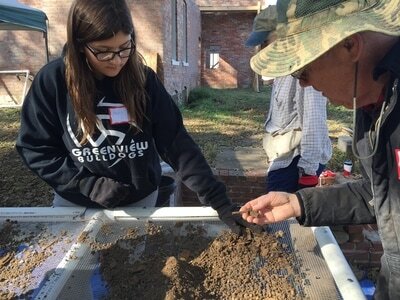 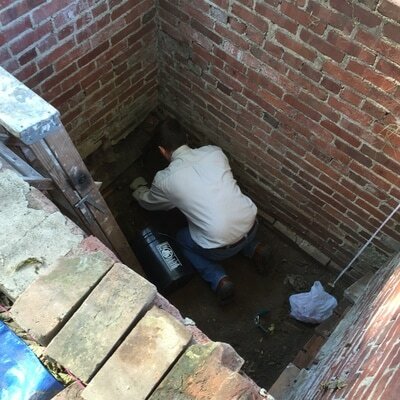 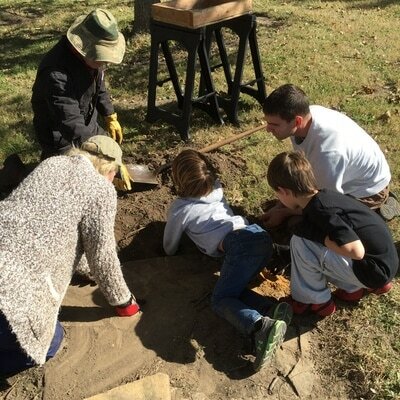 Rieken has proposed that archaeology be done every year at the farmstead with the goal of the schools using it as a perpetual field site for science.